Windows 10 Transformation Pack (WTP) will transform your Windows 8/7/Vista/XP user interface to Windows 10, including Login Screen, Themes, Wallpapers, Cursors, Fonts, Sounds, Icons, Metro/Modern UI, Virtual/Multiple Desktops, Cortana-Like Search Bar, Start Menu and more. Note: Microsoft .NET Framework 2.0/3.0 is required for Windows 8/8.1 but you just need to enable the built-in option by opening “Programs and Features” then “Turn Windows features on or off” then check the .NET Framework 3.5 (includes .NET 2.0 and 3.0) option. 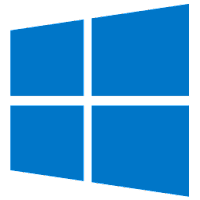 Disclaimer: Direct downloads for the lastest version of Windows 10 Transformation Pack 7.0 are provided by the official software's author, we can't guarantee safety, availability or download speed. Moreover, we don't and we won't provide any pirated/illegal versions or tools. We recommend you to avoid it as these methods can harm your device. If you like the software, buy it to support the developers. (We provide software discounts for many worldwide brands).